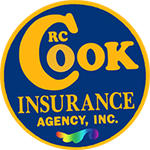 Get your free janitorial insurance quote from RC Cook Insurance. Call 330-296-3628 for more information. We're located in Ravenna, OH. Are you putting your all into a janitorial business that could disappear with one error? Even if you don't do anything, in today's litigious climate, your janitorial business could be vulnerable to great loss without janitorial insurance in Ohio. Ohio Janitorial insurance is available to all owners of businesses that work in the clean up industry. It is a policy that protects you and your crew from general business liabilities and risks that are specific to the off-site nature of your business.